A number of transitional provisions are in place to assist members with meeting specific requirements, including new driver and manager training. This means that some of the new training does not have to be completed this year. The transitional provisions for driver and manager training are shown below and the table details when the training has to be undertaken depending on when the audit takes place. 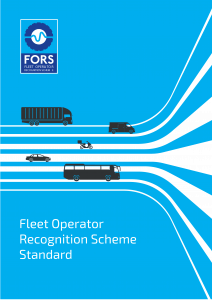 All other training not listed below must be undertaken as detailed in the FORS Standard version 5 Annex 1 for drivers and Annex 2 for managers. The new driver training requirements introduced under FORS Standard version 5 aim to address the growing need for air quality improvements and the ongoing threat of terrorism, as well as address the need for improved safety within the P2W community. To assist you with your accreditation, you can check the FORS Bronze Audit Toolkit, or Going for Silver and Going for Gold pages, as well as the version 5 special FAQs. In addition, there are a number of funded Going for Bronze, and Going for Silver/Gold workshops available to book, as well as FORS Members’ Regional Briefings.